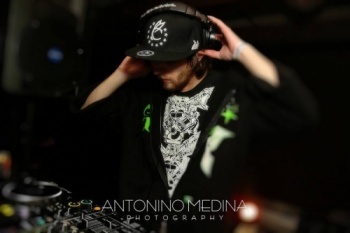 DUBLDROP [BloodMoon/RoughCrew/Filth Union/Dubplate FM] Originally hailing from Ottawa, this guy is no stranger to the bass music scene. Driven by his passion for mixing and armed with an arsenal of bass, he is known for dropping a relentless assault of the most sub-heavy tracks he can find. Combined with an unmatched energy behind the decks, his burning drive to make every mix flawless, and a natural ability to work a crowd, Dubldrop generates hype wherever he goes. Holding residencies with both Blood Moon and Filth Union, Dubldrop has quickly become a staple in Montreals Bass Music scene. If you like it dark and dirty, one thing is certain, listening to this Baron of Bass will leave you begging for more.